Note: the new shipment has just cleared customs. The prices are going to go up, but I don’t know by how much. These prices are only until I find out! These cotton and bamboo parasols are made for us in Thailand. They are as durable and versatile as they are lovely. I never can leave well enough alone. I do wonderful things to the parasols with lace, trim, tassels, lights. Each is a unique art piece, done just for you. 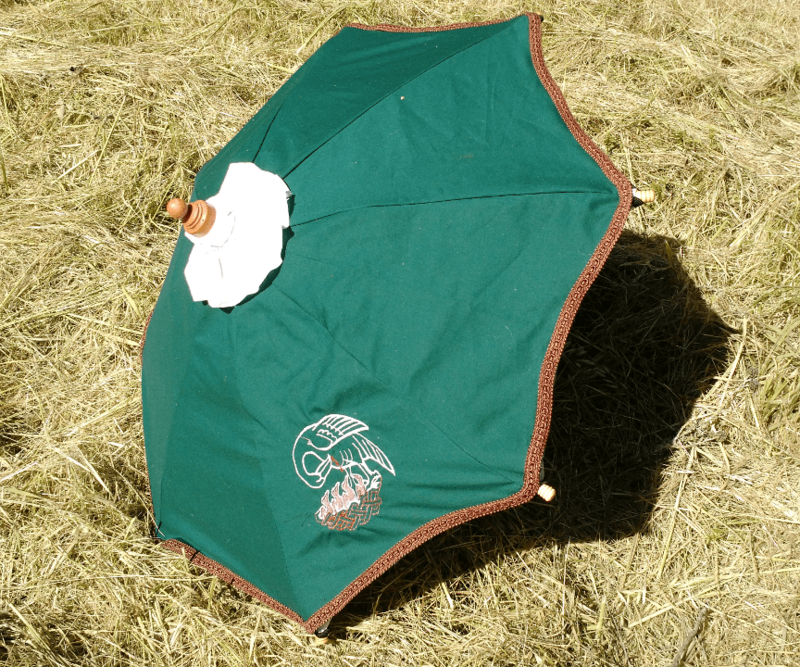 Let me know what you want to have on your parasol and I will make it for you. The following are guidelines and do not include the price of the parasol itself, or shipping. Email me for a price quote on your custom piece. You can send me your fabric so that it matches your frock.